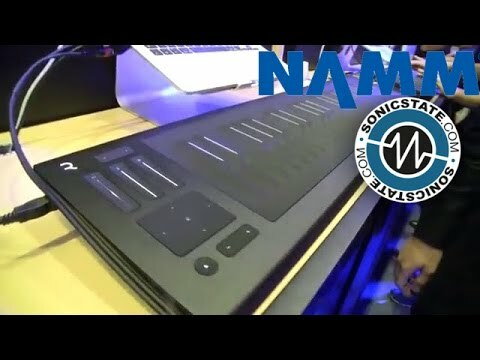 The Seaboard RISE 49 is a revolutionary MIDI controller. It remodels the keyboard as a soft, continuous surface that responds to touch. Playing on its unique “keywaves,” music-makers shape sound through intuitive movements such as striking the keywaves, pressing into them, gliding from left to right along them, or sliding up and down them. A whole new level of expression becomes possible through the RISE 49’s “Five Dimensions of Touch”. The instrument combines the deep expressiveness of an acoustic instrument with the versatility of an electronic instrument. The RISE 49 sets a new standard not only for expressiveness but also for portability. Using MIDI over Bluetooth, it can be played wirelessly. Its super-thin design makes it easy to carry, as does the custom-made Soft Case that comes with every RISE 49. Its anodized aluminum chassis is designed to withstand the rigors of travel between home, studio, and gig. Cord-free, the RISE 49 can control Equator, ROLI’s software synthesizer, on laptop or desktop. It can also work with only an iPhone through NOISE, ROLI’s mobile sound engine that is available for free download on the App Store. 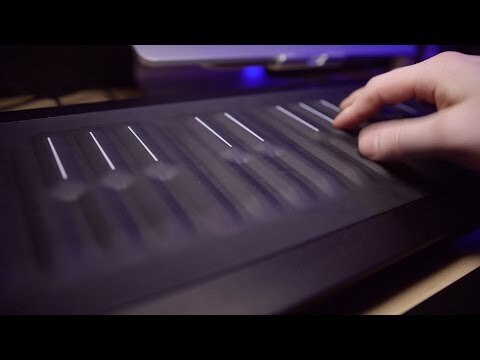 The Seaboard RISE 49 lets music-makers control sound through Five Dimensions of Touch. This marks a progression from the piano keyboard where only one dimension of touch - Strike - controls sound. Strike: The velocity and force with which a finger makes contact with a keywave. Glide: Horizontal movements from side to side on a keywave or along the keywave surface. Slide: Vertical movements up and down a keywave. Press: The continuous pressure applied to the keywave after the initial strike. Lift: The release velocity or speed of liftoff from a keywave. A USB cable powers the Seaboard RISE 49 and automatically charges its internal battery. The battery supports up to 12 hours of wireless play using MIDI over Bluetooth. La La Land - was that keyboard real?